Romeo Gigli introduced Romeo Gigli in 1989. It is the result of the following top fragrance Notes: jasmine, citrus and bergamot. The middle notes are: lavender, freesia and orange blossom and the base of the fragrance is: sandalwood, cedarwood and oakmoss. 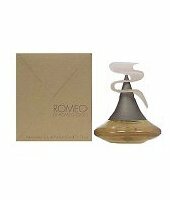 Romeo Gigli is recommended for casual use.